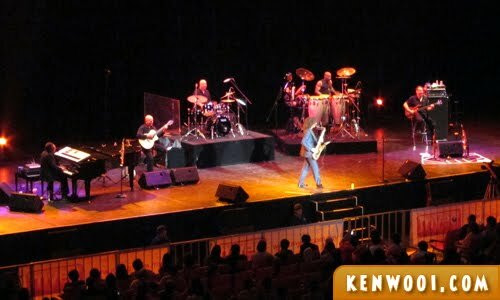 Finally, I watched Kenny G perform *LIVE* with my very own eyes for the first time at his “Heart & Soul” Concert in Genting Highlands! 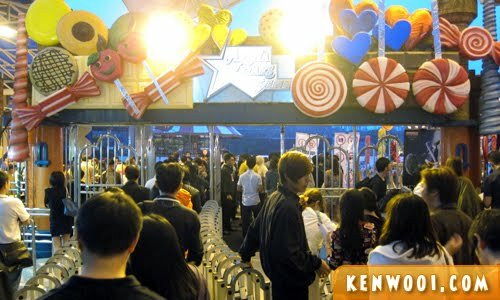 Well, Genting Highlands is one of my favourite places to go to in Malaysia. It’s cool (although not as cool anymore), a fun getaway from the busy city and I get to see the saxophone idol perform! It was held at the Arena of Stars on a Saturday night. So once we were there, we proceeded to the hall. So yeah, as we approach the hall, I can’t help but notice – OH MY, KENNY G IS JUST THERE! Okay, I did not. But still, many others were queueing up to get his autograph while some others were lifting their camera phones to take up-close photos of famous saxophonist. Eh… wave what wave? You’re not the superstar lah. We actually wanna take photos of Kenny G instead weh. Anyway, we entered the hall and took our seats. The audience were simply amazing. 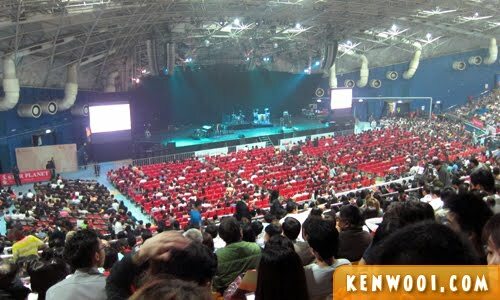 Apparently the concert was a sold out, and despite winning the tickets – my seat was situated at the very last row. Nevertheless, the view was good as the stage wasn’t that far away. 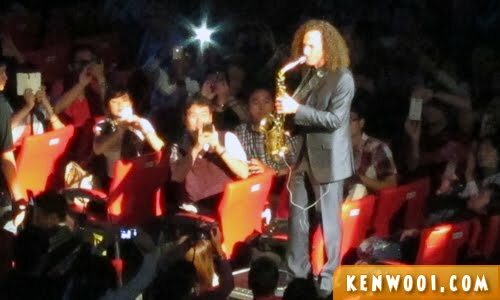 After waiting for a while, Kenny G appeared in the middle of the audience – performing his opening masterpiece while gradually walking towards the stage. He started on a strong note, piercing through the melody with ample expression and feeling. 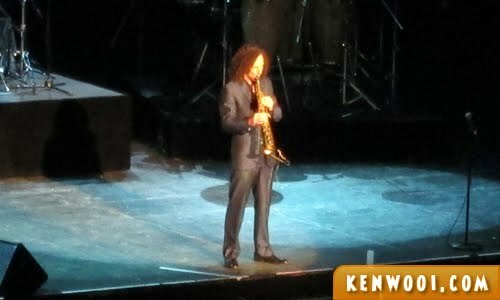 I was in awe – I get to listen to Kenny G play live! As expected, the whole concert hall was filled with cheers and applauses. Throughout the night, Kenny G performed with 3 different types of saxophone – the soprano saxophone, the alto saxophone and the tenor saxophone. Amazingly enough, the sound produced doesn’t differ whenever he changes saxophones. 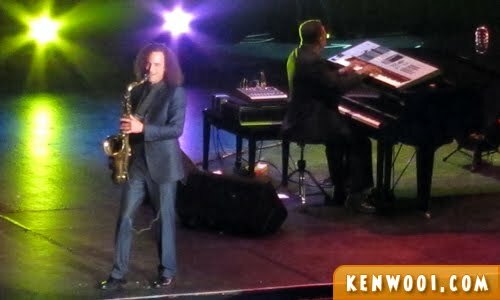 Kenny G performed a couple of musical pieces – notably Heart & Soul, Songbird, What A Wonderful World and yes, The Moment! I know my own short version of The Moment wasn’t all that great, but here is Kenny G’s live performance of The Moment that night! 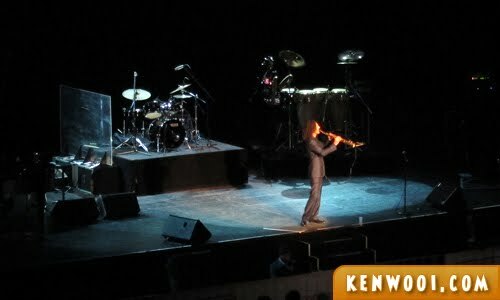 I gotta say, Kenny G was really mesmerizing throughout the concert. 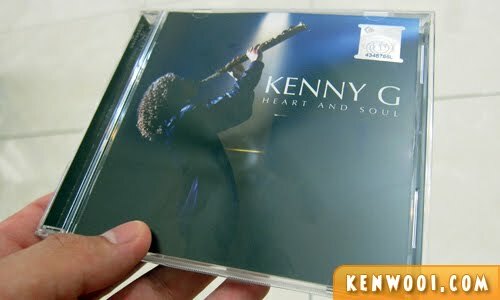 Anyway, I also managed to purchase Kenny G’s Heart & Soul album on that night itself. I’m not sure about the retail price, but it cost me RM45. 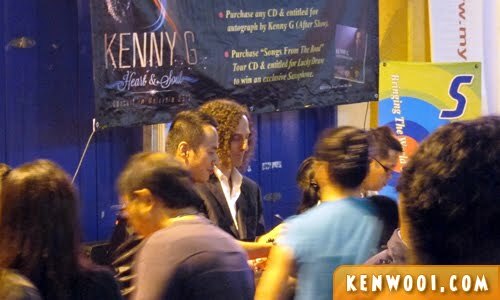 That’s not all, after Kenny G signed my CD, I raised my hand hoping that I could get a handshake with the superstar. The usher said “No handshake, sorry, no handshake” when I did that gesture but Kenny G responded by holding my hand for just a second! Know what, I’m not gonna wash it. Ever! 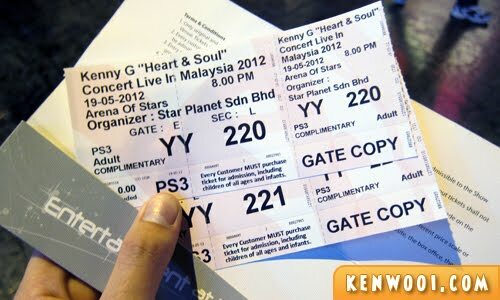 Here’s another encore song – My Heart Will Go On (from Titanic) – the 2nd last performance of Kenny G’s “Heart & Soul” Concert in Malaysia. Are you mesmerized? I sure was! LOL! Really not washing your hands? It must be great to listen live! So, wash hand already? lol! nice that you could meet your idol..
he is really good.. I love his music too..
You should cut ur hand then frame it! How u bring ur cam go in? This should be 200mm-300mm zoom lens.. I hide my body n 70-300 inside my jacket… Damn hard to take photo since they x allow n kip flashing their torch to those who taking photo.. I kena few times till las the gal jus stand on the same row wit me n jus aim me.. Overall.. Reali a awesome night .. Worth to pay for it…. I really enjoy reading ur blog, and i’m a big fan of Kenny G too. Listening to Heart and Soul can actually make me cry and i don’t even know whyyy! i just love that song. And i think i’ve purchased more than 10 copies of this album as gift for friends and family. Really not washing your hands? Hehe! OK, I’m so not going near your that *not-to-be-washed-right-hand*! Hehehe… awesome experience you have there! My son…have you washed your hands yet ah? 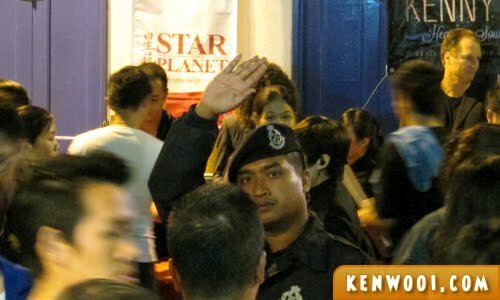 the cop there thought that he’s the superstar, haha! The best moment that you met your idol! :D congrats! Lucky you! No guest singers on his show? May I know do you have more picture on that day,especially about that lady went up to stage.thank you….